What is the best strategy for getting a hotel room when there don’t seem to be any rooms available? 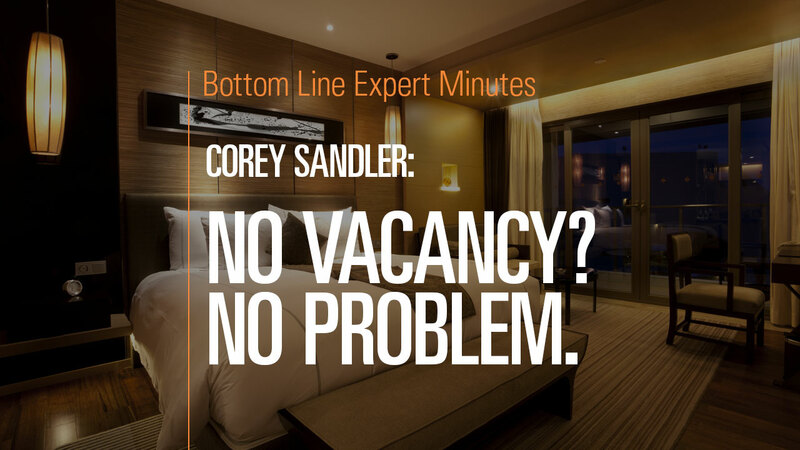 Corey Sandler, consumer expert and author of Bottom Line’s Secrets of the Savvy Consumer, suggests that you find out if the hotel really is full to capacity. In many cases, the hotel may have unreleased or canceled rooms available, so it’s a good idea to call the hotel directly and ask if there are any vacancies. Also check for last-minute availability by calling the hotel directly immediately after the cancelation windows ends tp see if anyone has given up a reservation that you can take advantage of. Of course, if the hotel really is sold out, you’re out of luck, but often a direct phone call can yield positive results.